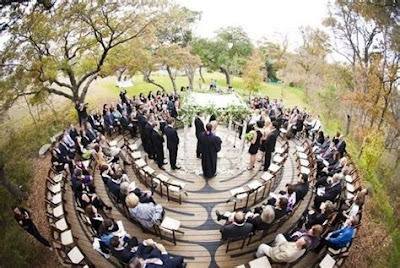 Why on earth would anyone want to throw a smaller wedding? In these days of over-the-top celebrity weddings and spending enough on a wedding to put you in debt for years to come, you don't hear much about small weddings. But they are making a comeback, particularly for those brides who prefer a more personal, intimate atmosphere. That's why I wanted to share some small wedding ideas with you in this article. First, though, let me clarify a few things. 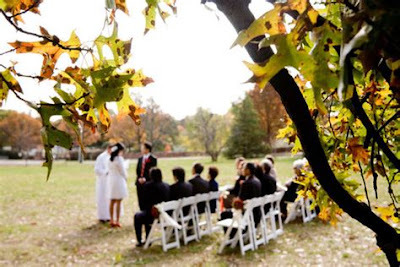 A small wedding does not mean an informal wedding, or a simple wedding, or a cheap wedding (though obviously, because the guest list is dramatically reduced, there can be significant savings). It simply refers to the size of the guest list. Instead of inviting your best friend's great aunt from Pittsburgh, the guest list and wedding party are confined to a small circle of close relatives and friends. How small? Often as small as only ten to fifteen people. 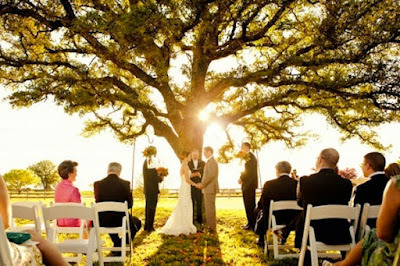 For instance, a smaller wedding makes a destination wedding far more practical than a large wedding. A destination wedding is exactly as it sounds ... the wedding is held out of town, at a setting that meets the interests of the bride and groom. 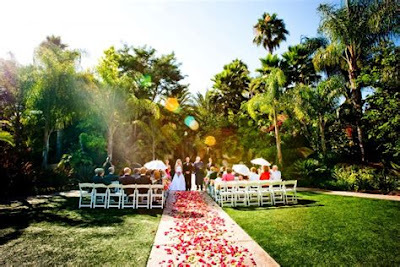 Las Vegas is a destination wedding. 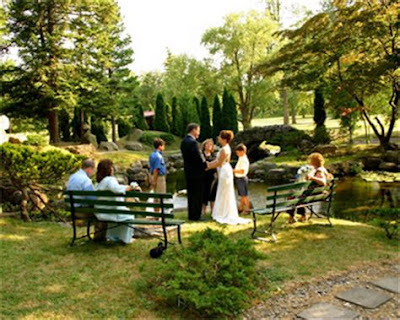 A theme park, such as Disney World, is a destination wedding. There really are few limitations ... a mountain lodge, a beach house, a bed and breakfast, a ski trip, etc. When the wedding party and guest list are small, a destination wedding becomes much easier to achieve. But what if you'd like to keep things simple? 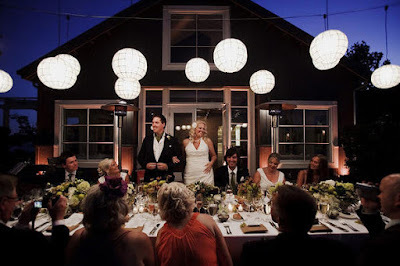 The reception for a small wedding can be held in the intimate, comfortable setting of a family member's home. It can be held at the favorite restaurant of the bride and groom. It can be held out doors at a favorite park, or in the backyard of your best friend. 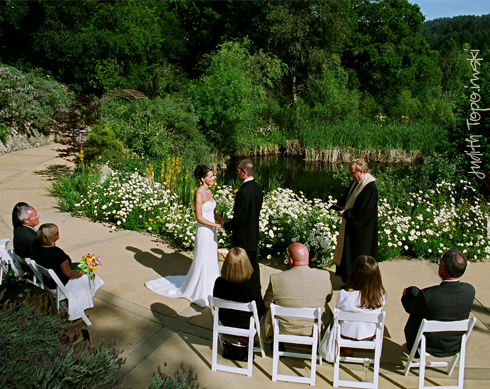 With these more intimate weddings, your options are nearly unlimited. You also have more leeway in your food choices. 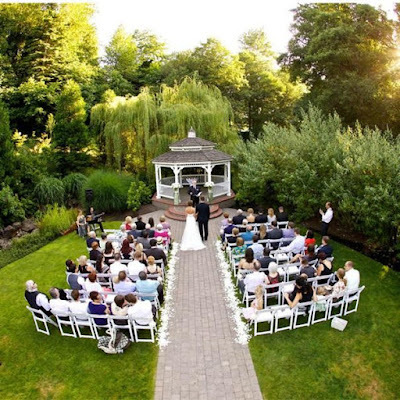 If this is an important area for the wedding of your dreams, then catering or dining out at a fine restaurant are far more likely to fit within your budget. But you may equally enjoy a potluck or a buffet or even an afternoon of hors d'ourves. 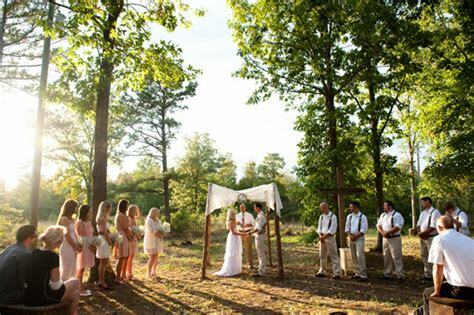 A smaller wedding allows you the freedom to pursue the wedding you really want for yourself. Since the whole idea behind an intimate wedding is to share the day with close family and friends, consider making your own wedding favors. For instance, a homemade goodie basket of cookies, breads, and candies. Or personalized CDs created with the music that you and your loved ones enjoy. The point here is to make your wedding favors as personal as possible. 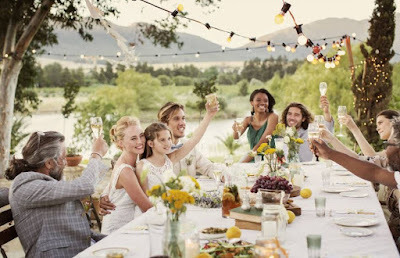 How about having your guests sign and write a personal sentiment on a tablecloth? Then, at a later date, you can have the signatures and sentiments permanently embroidered into the tablecloth as a family keepsake. Make your own wedding invitations, personalizing each one with a special sentiment. You can design them completely from scratch, choosing the paper you want, adding dried flowers or bows, or even adding your own background image if you're talented in this area (or know someone who's talented). 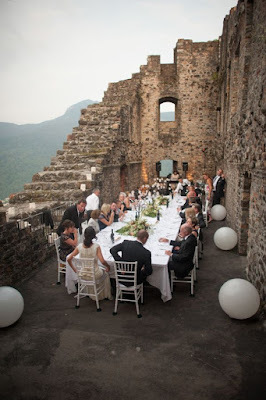 Instead of the usual reception activities, try activities that you know your guests enjoy. For instance, if your family and friends enjoy board games, run a tournament with the winner taking home a gift basket of games. Or try a scavenger hunt, or a softball game, or a trip to a local movie theater. 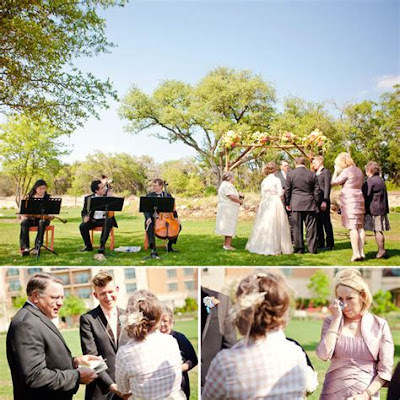 The idea behind a smaller wedding is to share your special day with only a few special people. Since the size of the wedding party and guests is easily manageable, small weddings ideas often allow you to pursue the wedding of your dreams when otherwise it wouldn't be possible. Whether it's a fancy, elegant wedding or a few close friends sharing a common interest, the choice is yours. 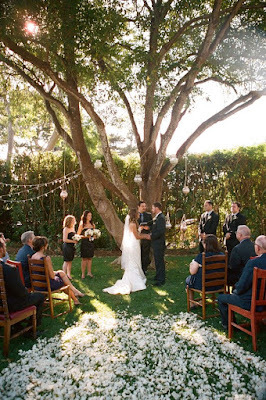 Make your intimate wedding a wedding that you'll never forget.